So these books are all a carry over from our home page of " Recent Reads " It's good to save them to give you and idea of the variety and quality of what comes into the shop. Lucky me. I've had the time or made the time to read them. Could a guy ask for a better job? I think not.
" Our father died and my mother worked at the coal mines in Wales to feed four growing boys. It was too much for her. She Died. We were put in Dr. Barnardo's Homes and before sailing for Canada we were taken before three judges to declare that we were going to Canada of our own free will, 99 boys and 21 girls, age 14-15. To the new world we sailed on the Montrose for six wonderful days. " The author of this is Leslie Coombs and it's one of many first hand accounts. Some of the kids were taken in and treated as one of the family. As often as not they were simply worked hard and beaten regular. What a time. A few other books to suggest would be Muddling Through about the Barr Colonists by Lynne Bowen, Scoundrels, Dreamers & Second Sons about the remittance men by Mark Zuehlke and The Promise of Paradise about the Utopian Communities in B.C. by Andrew Scott. ​Is this cover just about the best? And is Elmore Leonard not truly the master of dialog? He presents us with just such a beautiful slice of Americana. As a friend had said, "He makes it just roll off your tongue but it's one of the harder things in writing to do." Yet he does it so well. 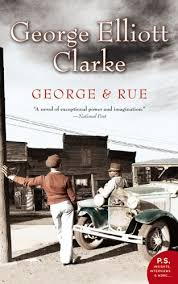 This is set in Detroit in WW ll. German spies, escaped POW's, the FBI, a southern marshal and of course Honey Deal. What a great read. ​When is a cook book not a cook book. When it becomes a perment member of your cook book family. After a bit you relize that it speeks to you. You talk the same language. You have simular ideas and share simular values. You build up a trust with one anuther. You can turn to when your happy or sad. It's there for you. That is when a cook book is not just a cook book. It's something computer recipes can never replace. They are just so passing and transiant. A mere fling as it were. ​London in the spring of 1929?. Well, first off I've just about had my fill of London. There are so many other great cities to put a period piece in. 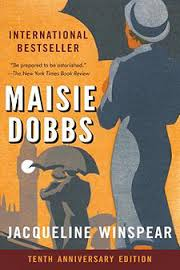 Maisie Dobbs? Well, she strikes me as a close parallel to Phryne Fisher. That and the fact that this first book reads more a romance than a mystery.. Having said all that the stage has been set and who knows, good things may follow. I'd like to return to read the third or fourth in what may be a fun series. I mean there is an interesting play with intuition, almost a hint of clairvoyance. For seeing the future. That holds some interest. Competitive, conceited, prudish, demanding. intolerant, envious, egotistical, tetchy, supercilious and doer. Aren't these just the qualities that make for a wonderfully fun read. And yes, maybe he was a little full of himself but didn't he write some great books. 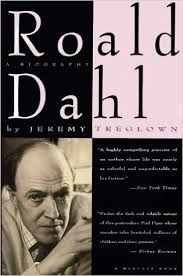 Jeremy Treglowns unofficial biography of Roald Dahl was fun too. An interesting read that had me turning the pages. We always have a lot of people looking for Hunter S. Thompson. We seem to forget that Tom Wolfe, Truman Capote and Joan Didion are of the same school. New Journalism. Their use of the vernacular and how they so capture the ethos of the time. It's great. As is The Right Stuff. Project Mercury. 1958 through 1963. It's the story of the first seven astronauts selected for that program. 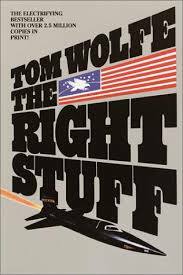 He also tells the a small bit of the story of the manned rocket powered aircraft that were being flown into outer space. ( 100 miles up and beyond. ) All this is set against America at the hight of the cold war. What a great read. 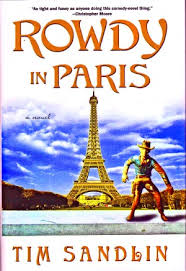 When I first went to pen a few lines about Rowdy in Paris I was a little defencive. I mean is there really any need for that. It's just good fun. A bull rider from GroVont Wyoming gets his only first place buckle swiped by a couple of French girls so he fly off to Paris to retreive it. It's a hoot. Next month " War and Peace " I'm still defensive and this is a lousy pitch. Hmm. A truly fun read with many little insites regarding bull riding, women and life in general. How can I convince you to read this book when I seem to have truly lost the ability to express in words the fun I had in reading it? O.K., Do like me, buy it for the great cover. You won't be disepionted. I listened to this as a book on tape over the last week or two. What a treat. What a story. The premise being that Capt. Bligh was, if anything, a kinder Capt. than most. 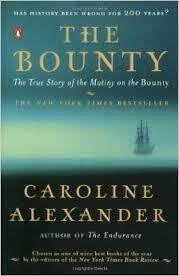 Caroline Alexander puts the mutiny squarely on Christians shoulders. A sound argument and no mistake. But what a different time. Peter Hayward went on to spend 29 years, 7 months and 1 day in naval service. Of that 27 years, 6 months, 1 week and 5 days were at sea. Read that again and tell me you aren't utterly gobsmacked. An interesting book on tape. September 8th 1941 was the beginning of the two and a half year siege. In that time three-quarters of a million civilians, one in three of its population - died of starvation. 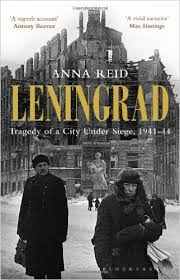 Anna Reid has given us a very real and readable account of the 900 day siege of Leningrad. She tells it both personally with journal entries, diaries, letters, first hand accounts and also with a very though historical background. The people were literally stuck between the Nazi war machine and their own brutal and inept government. Unimaginable. I'll tell you, I just needed a change from Naomi Klein and this was it. And you know, it wasn't all that bad. A fun little read and a good break. Published in 1964. My Lord, that's 50 years ago. Things have changed a bit since then. For the better. 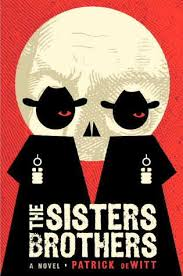 It reminds me of the old westerns or the early James Bond books. A fun change and I'll pick up another a few months down the road. Or maybe a Dashiell Hammett. " Lady in the Lake " I thinks that'd be fun to. I think the Irish Times reviewer said it best, " So good, so funny and so sad ". It's just such a different style of writing. All flows so effortlesly. An easy fun read. "Four trappers matching the description given by the hit-on-the head boy stood two on either side of him. These enormous men looked down on us with full confidence and no trace of concern. They struck me as fearless but mindless, and their outfits were exaggerated to the point of ridiculousness, being so heavily covered in furs and leather and straps and pistols and knives that I wondered how they stood upright to carry these burdens.... How is it, I wondered, that they all look so similar to one another when the dress is so eccentric? Surely there was one among them who had been first to outfit himself in such a way. Had this man been pleased when the others imitated him, or annoyed, his individual sense of flair devalued by their emulation? " Do you remember that great used book store in Vancouver on the south end of Granville street just a few blocks from the bridge? The stairs going up to the second floor were right in the middle of the shop. Well I bought a four slip-case set of The Great Books from them way back. Late 70's early 80's. Paperbacks with each set a different color. And that is all I remember about them as I like most never cracked the spines. Well this book tells the story of "The Great Books ". As Alex Beam puts it, "The Rise, Fall, and Curious Afterlife of the Great Books". Grand characters behind it all. Hucksters and heroins. We bought them out of insecurity or to improve ourselves or to impress others. But we bought them. It's a good read. This is a fun book. Not a great novel by any means but just good fun. Our detective is the cook of the house in London of the mid 1800's.. Skullduggery takes place in silver smith shop attached to the main house. Mrs. Meadows tells her story of life in the kitchen with all the goings on of the house. It's a good tale with an interesting mystery that'll keep you guessing. 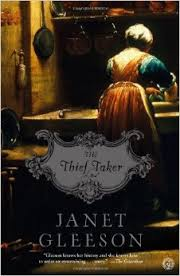 I enjoyed the book and would look for others by Janet Gleeson. Your the 29 year old captain of a 87 ft., 238 ton displacement whaleing ship out of Nantuck Maine. Your first mate is 22 years old and second mate 26. In the middle of the Pacific Ocean a whale stoves in you ship and the crew of 20 are forced into the small whale boats. ( 28 ft. ) The land to the east is closer but unknown. To the west, some 2000 nautical miles lies what your familiar with. This is not a happy story. Hollywood screws up everything it touches so don't even think of going to the film. Plum, Grimacing, his Conservative skin tweeded over, Mr. Justice Jeremiah Chaud, under his black robes, presided over York County's fake Grecian courtroom like a squat smokestack stabbing through a plaster Acropolis. He bossed his realm like a slightly less portly J. Edgar Hoover. Raised in Miramichi, his parley was as beautiful as italic script, but also as dark-edged as letters on a Gothic headstone. Sharp words aimed like knives. As an utterly English Acadian, with not one particle of French that he could pronounce properly, as a soul who was now sycophantically subordinate to the remnants of the original Anglo-Saxon empire, he felt it was his duty to ensure the the poor - and all those who were not purely white and English - stayed in their fetid stations: the Mi'kmak, the Acadians, the Negroes.... This is from Chapter V, page 147. Absolutley Brilliant. 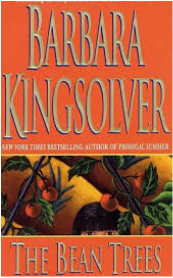 This is only my second Kingsolver fiction. I'd read The Piosonwood Bible a good while back. I enjoy her. She is a woman's writer. What ever that means. Well, it means men take a back seat. The women are the heroes. I like that. I like to how smooth her words and stories flow. She brings to life and introduces you to other cultures, other countries. Makes you think about people other than yourself. She makes you think about how we see others and how we treat one anuther. Minorities, outsiders, outcasts. A remarkable author really. Well worth spending some time with. It's not all that often that I close up a book before finishing it. I did that with Ahab's Wife about a third of the way in. Why? I don't know. An odd cross between a sea story and a romance. I mean both are a fine reads. It's just that life onboard a whaling ship in the mid 1800's was pretty tough. 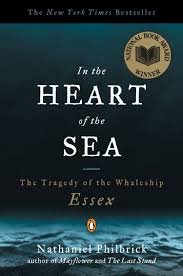 Then she takes a page out of the story of the whale ship Essex and has her heroin and two friends adrift in an open boat after there ship is stove in by a whale. Enough already. Way to wimsicle and far to wordy. It's on the sale table if you'd like to read it for yourself. I've just put down my first Martin Beck mystery. " The Laughing Policeman " Wow. Was that ever a great read. I think of it as a who done it but in fact it's a true police procedural. In any case it was a page turner. It just shows dogged police work. A group of people slowly finding all the pieces of a puzzle and then painfully arranging them in there rightfull places. Just plane old hard work. What a treat. There are nine others in the series that was writen by a husband and wife team between 1965 and 1975. I'll be on the lookout for all of them.